Brand New Grocery rear seat holder Grocery Bag clip on holder for rear car seat, A very useful and new item which conveniently carries grocery bags after shopping sprees. 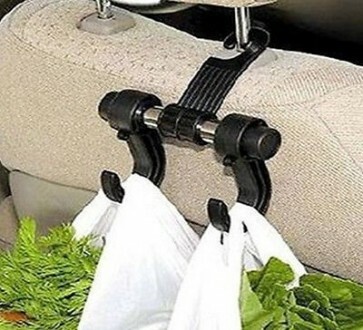 Prevents seats from getting dirty from spillage and bags tilting , ensures organised and careful handling and quick removal from the car. Can be used for various purposes such as organising other bags for convenient reach.